Casts for animals are set in veterinary medicine for supportive therapy of uncomplicated bone fractures and to stabilise the affected limbs. You can purchase casts for veterinary medicine for great prices from Praxisdienst! Discover our wide range of splint systems for setting extremities. Choose between splints on rollers and pre-shortened splints. In this category, you are presented with our wide selection of plaster casts and casting bandages from well-known manufacturers. 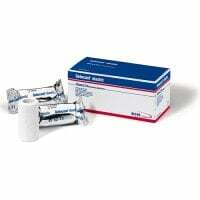 Buy zinc paste bandages from well-known manufacturers, such as Hartmann or BSN medical, at fair prices from Praxisdienst-VET! 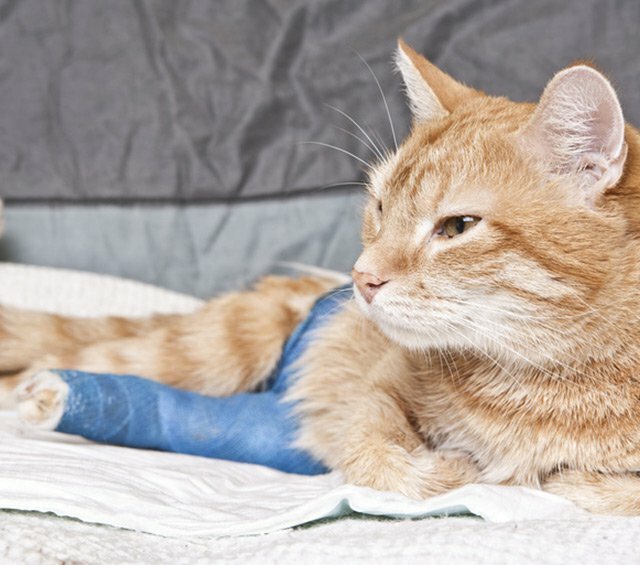 Casts for animals are plaster casts that can be applied to offer an alternative to the common gypsum casts used for fractures and fissures of the extremities. These are particularly light and water-tight because of the synthetic coating. Bevor a cast can be set, however, the present fracture usually needs to first be repositioned to it's anatomically natural state. Finally, this alternative dressing serves to stabilise and secure the affected limb. 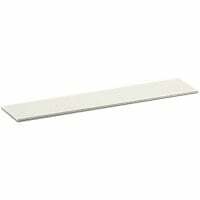 In this category, you will find splints, plaster casts and zinc-paste bandages. 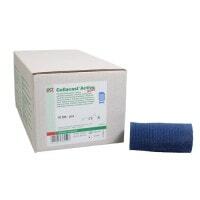 These dressings are made of a special carrier fabric that is manufactured from fibreglass or polyester. The carrier fabric is coated with synthetic resin, which hardens upon contact with water to lend the plaster cast its necessary sturdiness. The lower the temperature of the used water, the faster the hardening process occurs. The cast can also be applied in a dry state and then misted with water. This eases the setting and modeling of the synthetic dressing. If a horse is suffering from laminitis, then the application of a combination of a hoof cast and hoof wedge/hoof putty can take the stress from the patient's hoof wall and redirect it to the sole of the hoof. 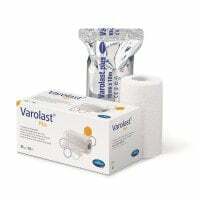 Because of it's robust, water-tight properties, the cast bandage fulfils it's purpose in even the most extreme circumstances to reliably relieve the hoof wall and reduce pain caused by laminitis. As fractures and fissures are primarily conservatively treated in veterinary medicine, stabilisation of the afflicted limb must first be achieved in order to support the healing of a bone injury. Splints are used in combination with conforming bandages. They are made of stable, yet lightweight materials like aluminium and a layer of padding to prevent pressure points. 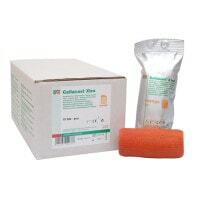 Practical zinc-paste bandages have diverse applications in veterinary medicine. One purpose is the use in compressive therapy for congesting oedema and another is to relieve the ligamentous apparatus. Zinc-paste bandages are typically used to stabilise joints, but also serve in follow-up treatment of fractures to protect the affected limbs. With Praxisdienst, you will find a diverse selection of casts for animals, as well as other dressing materials for treating fractures and fissures in veterinary medicine. Do you have questions about our products? We can be reached by email, chat or telephone.